How thrilled were we when Richard Moncure, Education Director for the Friends of the Rappahannock (FOR), called to see if he could bring some members of Falls of the James, – Sierra Paddlers Club from Richmond – for the first spring paddle on Cat Point Creek on April 1st? Really thrilled. No fooling! 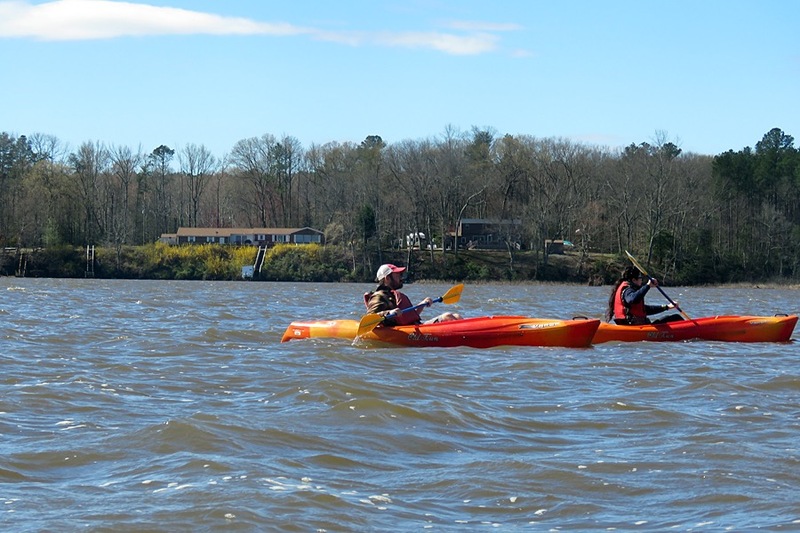 Moncure was joined by FOR’s Adam Lynch in leading the paddle tour on Cat Point Creek. Mother Nature obviously approved of the idea as she provided perfect weather for us to introduce our little slice of paradise to this eager group of enthusiastic nature lovers. Since it was still a little chilly early on this first morning in April, we collectively decided to meet at the Visitor’s Center for an orientation of Menokin and the preservation and education projects we are undertaking. Next was a Hard Hat Tour of the Menokin ruin. Who would have thought our fallen house with barely any walls would have felt warm?! This group was adventurous and open to learning something new, and so they did. After an inspired house tour, we ventured down to Cat Point Creek. The wind made the water a little choppy. After safety instructions from Richard and Adam, this hardy crowd paddled out into Menokin Bay, the widest part of Cat Point Creek. The good news was we were beginning the paddle against the tide and wind, when we still had a lot of energy! Along the way, Adam, Richard, and I pointed out plant species, wildlife and talked about historical references to this place. Emphasis was placed on the fact that due to conservation of our waters through acts such as The Chesapeake Bay Act, fathered by our own dear Tayloe Murphy in 1970, the Northern Neck and the Chesapeake Bay provide wonderfully preserved authentic experiences not found in many places on this planet. Evidence of the effects of conservation measures such as this are seen in the resurgence of eagle habitats, symbol of American Freedom, throughout the Northern Neck. Additionally, oyster reproduction, crucial to keeping our waterways clean, has finally begun to increase again as well. Remember, we all drink the same water on this planet. We all need to protect it. Moncure, a native of the Northern Neck with a long family history associated with the water, spoke to us on the importance of supporting special environments like those still found in the Northern Neck. Ecological conservation efforts from advocacy groups like the Friends of the Rappahannock and conservation-minded tourism properties like Menokin have helped to maintain and sustain the pristine beauty and ecosystems of this region. 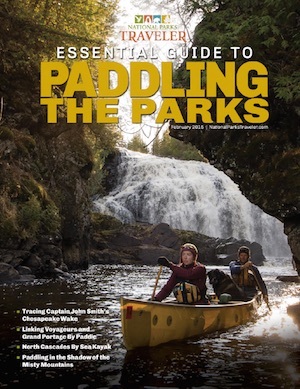 Our next community paddle is on June 9th and features a full moon! This enchanted landscape will surely be made more magical by a Moonlight Paddle. We have other community paddles schedule throughout 2017, so watch for those announcements. Many will be associated with the Smithsonian Water|Ways exhibit that is coming to Menokin for six weeks starting in July. Take advantage of having a world-class museum experience in your own back yard for you and your family to learn more about how the precious resource of water affects our culture and our planet.